Erick has been on the site in the past with a great bag, and now his bag has changed around he has decided to share with us the new contents. 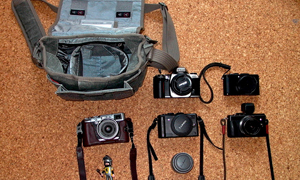 A nice mix of classic and modern Leica cameras and a load of film. Check it out. I am back and this time, a near major overhaul of the contents. It’s been a long dream of mine to own a Leica, but I think I went too far and bought four (not all at the same time). Moreover, I basically sold all the contents in my previous bag to fund some of it. 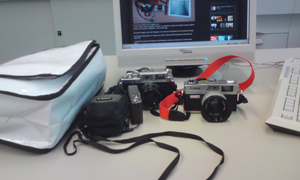 The picture above is the kit of the month with two of my Leica. The Billingham bag – Still my go to bag. 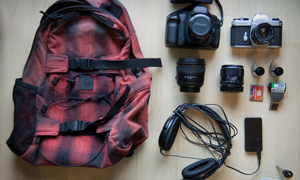 It’s been with me for a couple of years now so I might consider changing it to an ONA or Leica bag at one point. A Leica M4-P – Canadian beauty. Recently CLAd and it works like a charm, however, it doesn’t have the same feel as my dual stroke M3. The Leica M3 is still for me the best Leica and I use it 90% of the time as I am a 50mm shooter. A Leica M-E – Got it at a good price second hand and my birthday gift for myself. The CCD sensor does magic to the skin tones and pair with the 50mm Summicron, there’s a noticeable 3D effect in the images. Lighter pop compared to the Zeiss ZM lenses, but more natural to look at. 50mm Summicron v5 – My go to lens. The only Leica I bought brand new and it’s been my workhorse ever since. 15mm Voigtlander v3 – My favourite wide angle lens. Apparently, my copy of this voigtlander is a magazine copy according to the distributor. Passed a more tedious test and It came with a Cosina certificate with a seal of approval from the technicians. Films: FP4, Tri-X, Kentmere, T-Max, and Bergger. One big change is I now develop my own B&W films and also does printing. 8 x 10” is a pain for 35mm since I have to crop a lot, but it’s cheap paper. 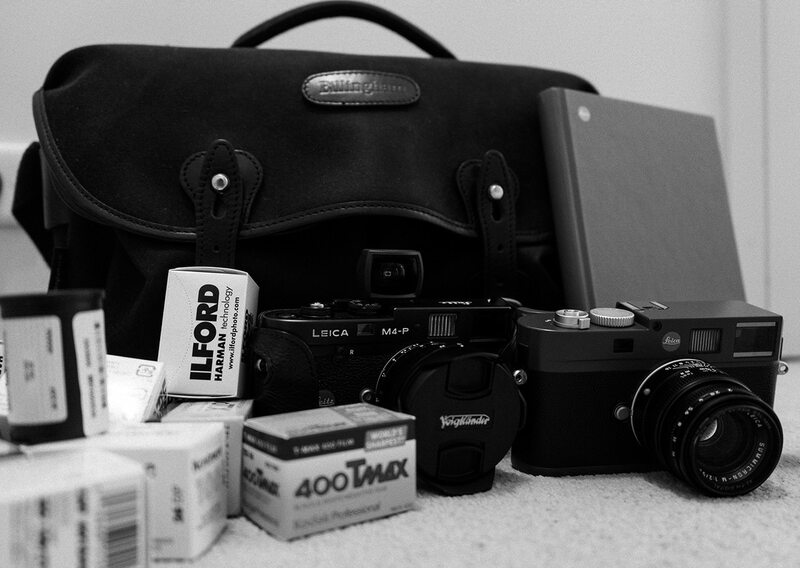 Leica Notebook – Inside are my development times with Xtol and studio light setups. 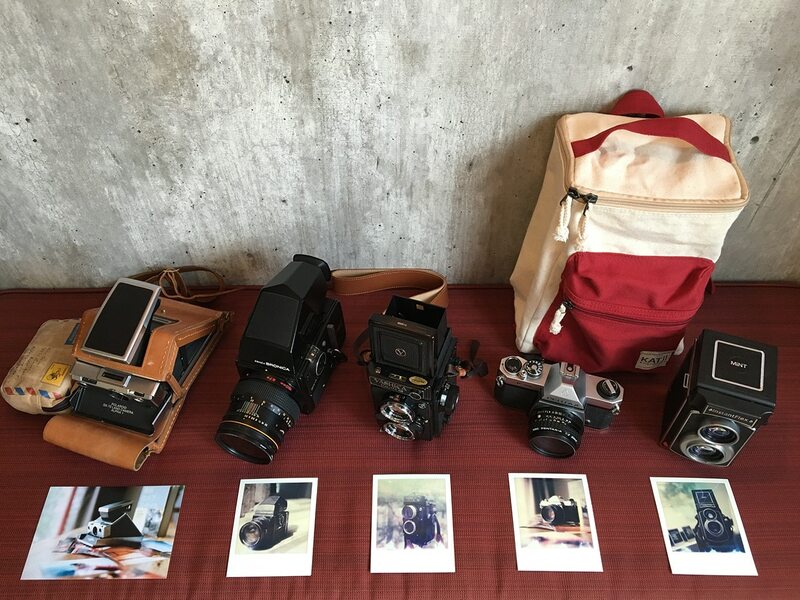 Not in the picture: Leica M1 , M3 DS, and a couple of Walter Mandler lenses. Thanks for coming back to us, Erick. You did go a bit overboard, didn’t you? But I am happy to see you found what you wanted.Check out the links and please come and comment.